As he closes the 2nd Federalist Paper, Publius appeals to the words of the poet to remind Americans that all of our greatness, all that we have achieved and could yet be, will be erased if we reject Union. The arguments take on a more philosophical tone, between classic republicanism and what each side believes is the best definition of that term, and what is the best way to achieve the singular goal of Union to protect individual rights, liberties and the survival of the Nation? In the study of the Constitution, we begin to realize that our long held beliefs about what the Framers thought best, might not match up with what they themselves told us they believed. It should not change or passion, or even necessarily our positions. But it should remind us that Union is still the only way to achieve what we can be as a Nation. 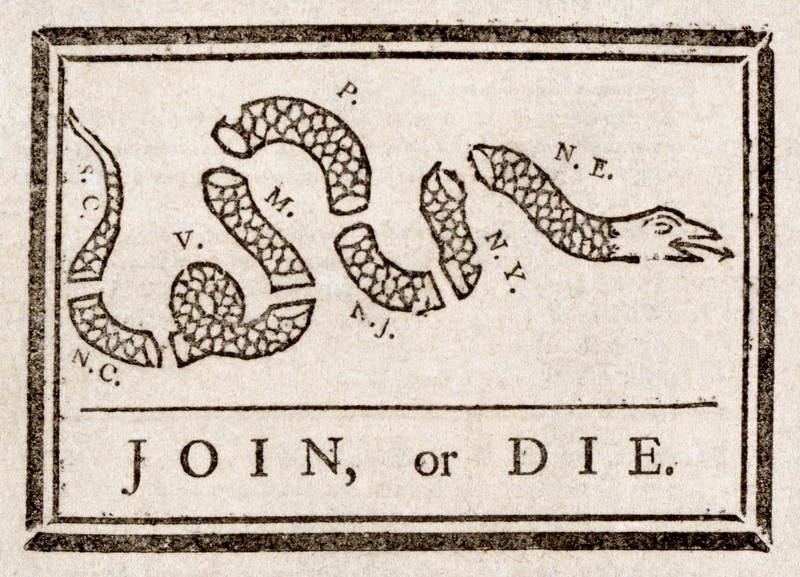 That we must join, or die. Posted on November 10, 2015, in Constitution, Dave, Podcast, Ratification Debates and tagged Ratification Debates. Bookmark the permalink. Leave a comment.